The overarching goal of this chapter is to examine and understand the role that school leadership plays in fostering the educational space where language and literacy development are central to the vision of a school community for emergent bilingual students. With this in mind, traditional school leadership theory and practice are insufficient to truly foster the culturally and linguistically responsive schools that are needed for emergent bilingual students. Therefore, this chapter presents critical bilingual leadership theory as an innovative conceptual framework aimed at answering this challenge. Drawing from transformative leadership and Latin@ critical race theory, this framework situates the role of equity-oriented leadership in the context of fostering language and literacy development for emergent bilingual students. The increase in transnationalism and global migration of students calls for changes in educational policy and school leadership to match the cultural and linguistic identities of students in schools. Educators across the globe must analyze the ways in which they serve students who transcend national boundaries. Unfortunately, it is all too common for countries to avoid responding in affirmative and transformative ways. Across the United States (US) many schools have been, and continue to be, used as vehicles for assimilation (Irizarry, 2011). In this role, such institutions often enforce traditional White, middle class, and monolingual norms and values through color-blind individualism (Leonardo, 2004; Welton, in press), racist nativism (Pérez Huber, Benavides Lopez, Malagon, Velez, Solorzano, 2008) and other sociopolitical factors (Nieto & Bode, 2008) that impact culturally and linguistically diverse students. Due to these subtractive forms of school policy and practices (Valenzuela, 1999), emergent bilinguals1 are forced to shed their multidimensional identities for a chance at school success (Irizarry, 2011; Valenzuela, 1999). As 21st century transnationalism and globalization lead to an increase in emergent bilingual students and families across the world, the demographic shift requires educators, scholars, and policymakers to be responsive to, and conscious of, linguistic diversity in their approaches to language and literacy programs and instruction. Schools, school leaders, and educators hold the promise and potential for making the changes needed to be more responsive to and conscious of their culturally and linguistically diverse students and families. To achieve this goal, language and literacy practices are essential for the successful development of emergent bilingual students. This chapter begins with an examination of the larger forces at play in the dynamics of schooling as relates to school leadership. By extension, the chapter will examine the sociopolitical factors that influence how school leaders operate with due attention to the goals of social justice and multicultural education. In doing so, I fulfill two objectives. The first is to problematize and challenge traditional leadership theories and practices that lead to subtractive schooling and limited equitable educational opportunities for the implementation of cross-cultural practices for emergent bilingual students. The second objective is to further theoretical understandings of how equity-oriented school leadership can, and should, foster the types of school communities where emergent bilingual students can prosper. Through exploring these objectives, this chapter will reveal possible situations in which a proposed theoretical framework can be contextualized for emergent bilingual students and schools. 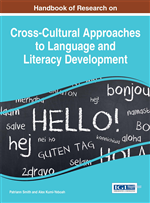 This chapter will reflect how leadership can foster the spaces to promote positive change for language and literacy development of multilingual youth. As a result of this discussion, insight will be gained into the ways in which critical bilingual leadership practices deployed in subtractive times might support school leaders’ and policy makers’ efforts to enact equity-oriented approaches with bi/multilingual learners in schools. Bilingual Education: A form of education that has the goals of bilingualism, biliteracy, and academic achievement for students across both languages. Programmatic structures are such that both languages are taught, and academic subjects are taught in both or either language across the longevity of the program. Equity: Systemically restructuring programs and opportunities in order for students from historically marginalized and minoritized groups to achieve equal outcomes. Equity reaches the goal of justice, but is often achieved through restructured approaches. Emergent Bilingual Students: Students who are developing as young, dynamic bilinguals. The linguistic repertoire of these students taps into both languages as resources and students can be in developing stages of the native language and/or the second language. Ultimately, these students are on the path to balanced bilingualism. This term is used as a way to reject the deficit-oriented terminology of LEP, ELLs, or ESL students. Funds of Knowledge: The strengths and resources that students and families bring to school culturally and linguistically, often times viewed in deficit orientations by the majoritized groups in power. Subtractive Schooling: A form of schooling that systematically strips students from minoritized groups of their language, culture, and academic wellbeing with intentions of assimilation to the majoritized group. Critical Bilingual Leadership: A form of leadership that is committed to leading for equity-oriented bilingual schooling structures and opportunities for emergent bilingual students. Culturally and Linguistically Responsive Schooling: A form of schooling that centers all aspects of the learning environment on the lived experiences and backgrounds of students and families.